Our Fleece Flydannas are 100% Polyester. Polar fleece. 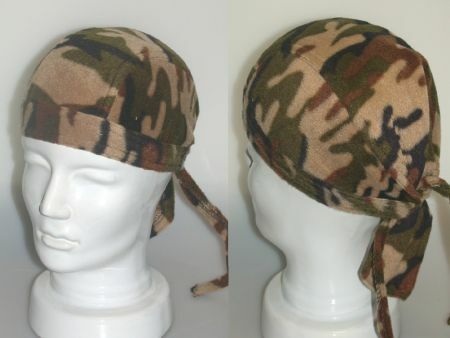 They are fashioned with 6 panels into a tie on headwrap with a short tail. This one is brown camouflage print fabric. One size fits all.